Forever Flavor Challenge Winner Celebration! On March 1, 2013 we invited Candy Cane Crush, the winners of our Forever Flavor Challenge, and their friends to our Belmont Forever Yogurt location in celebration of their win! Delicious frozen yogurt was enjoyed, fun was had, and a gigantic Forever Gold Card was rewarded! 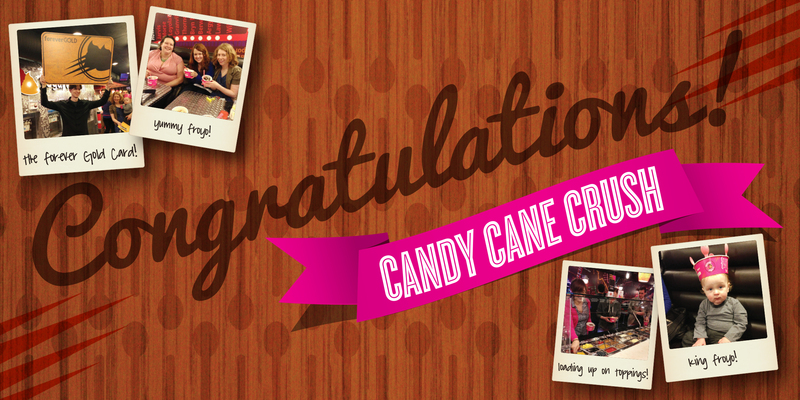 Congratulations, Candy Cane Crush! We love you!